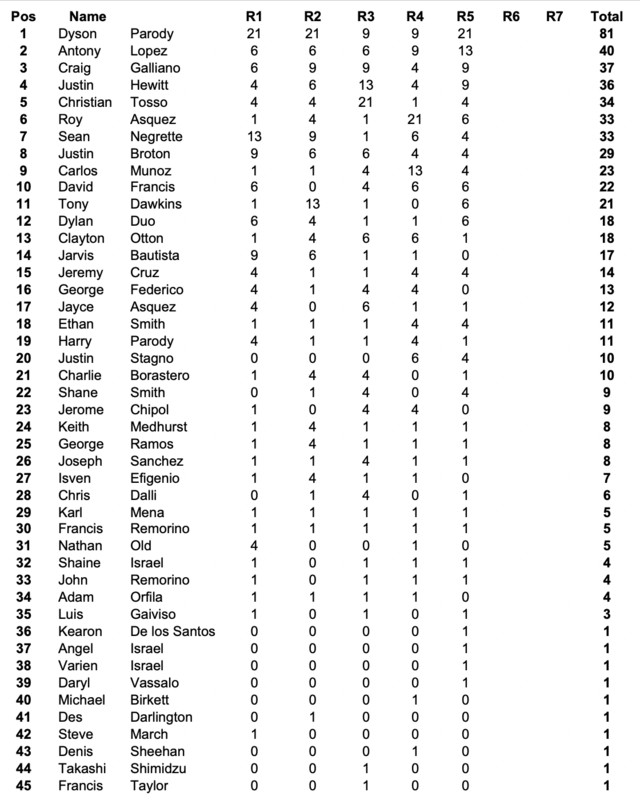 Craig Galliano claims the third Youth Ranking title of the season! Dyson had a hard struggle to win the David Obee Classic darts tournament on Friday 5thApril. 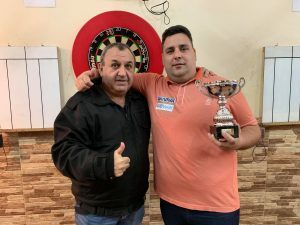 After straightforward early rounds beating Karl Mena and Carlos Munoz 4-0, he had harder games, beating Dylan Duo 5-3 and then just winning 5-4 against Justin Hewitt, to make it to the final. In the other half of the draw, Antony Lopez played consistently well to win through to the final, beating Keith Medhurst 4-1, Jeremy Cruz 4-2, Tony Dawkins 5-2 and Craig Galliano 5-3. The final was a tense affair with both players trading high scores. It went right to the line with a well timed 180 by Dyson in the deciding leg who then finished it off in style, winning the match 6-5. Special mention must go to the youth players who continue to flourish in the adult tournaments. Justin Hewitt was on top form, beating George Ramos 4-1, Justin Broton 4-0 and Roy Asquez 5-0 before narrowly losing to Dyson in the semi-final 5-4, in what was a tremendous high scoring game. Craig Galliano was also on top form early on, beating, amongst others, top player David Francis 5-4 in the quarter-final before losing to Antony Lopez. 33 players attended the event, with a total of 20 180’s hit during the evening.